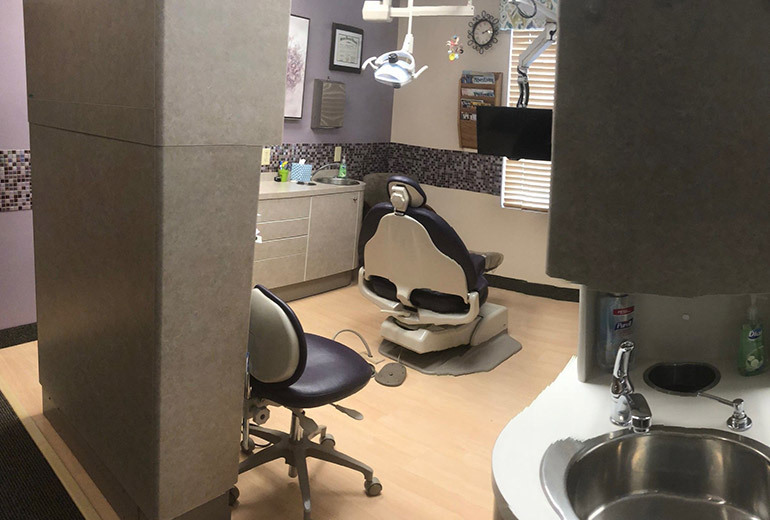 We’ve put a lot of time and effort into our dental office to make sure it doesn’t feel like your typical cold, lifeless practice. 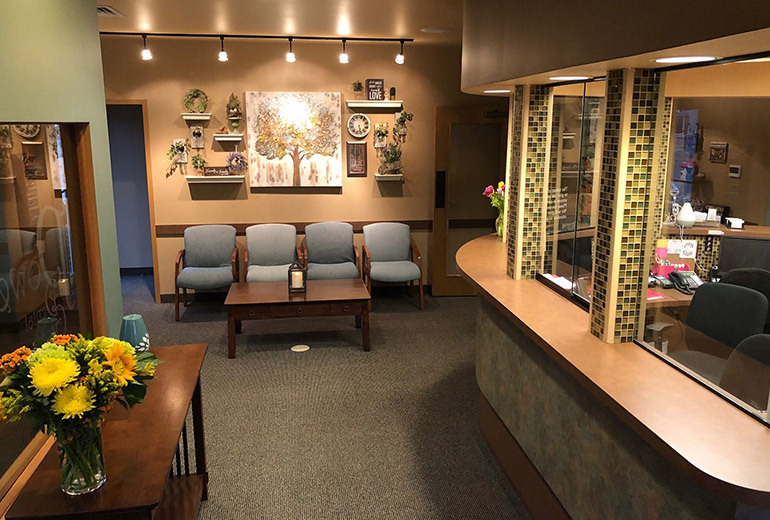 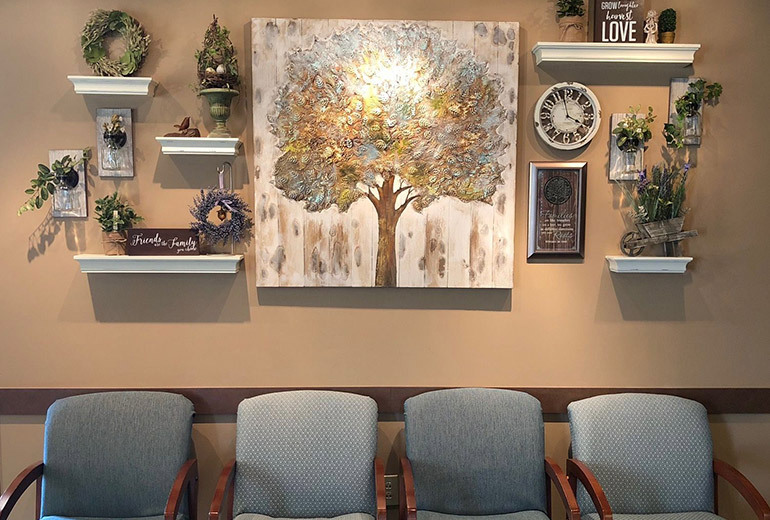 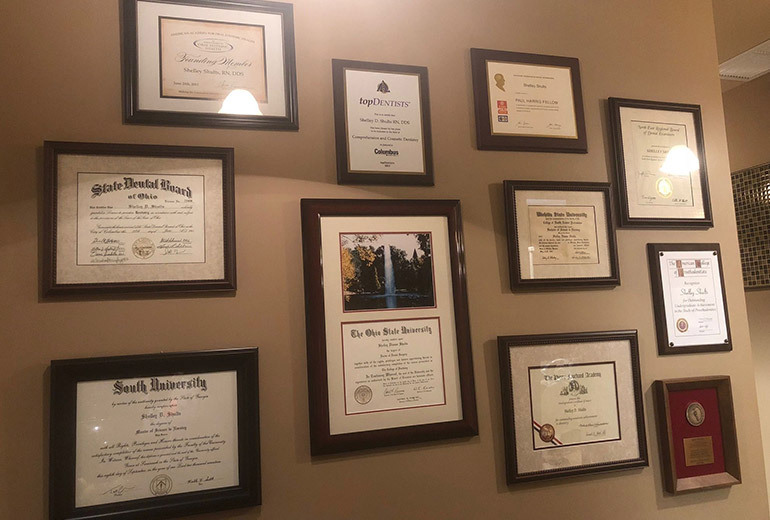 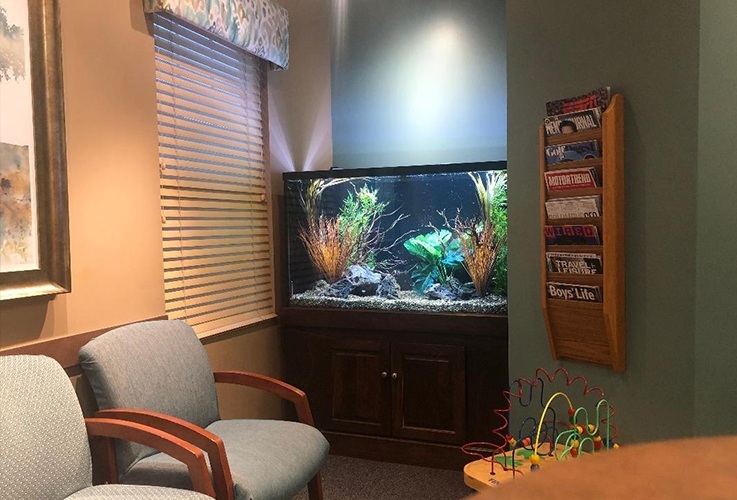 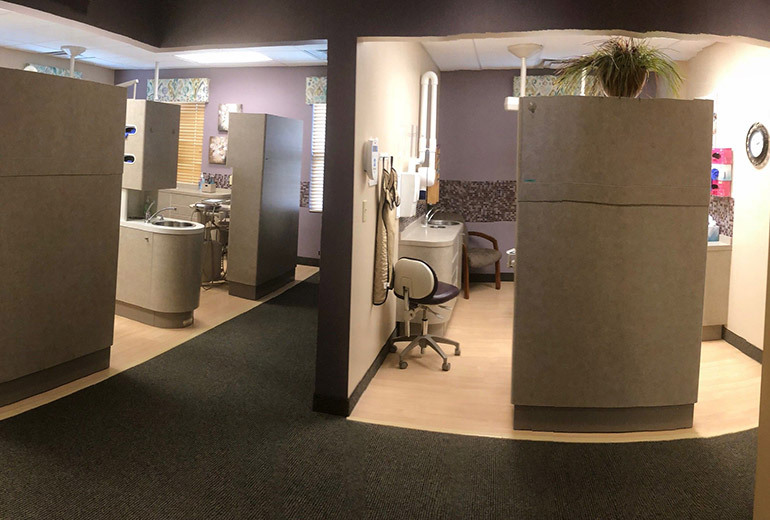 Our waiting room is finely decorated like a family’s living room, and in the back, you’ll find that we have some of the most advanced dental technology available today. 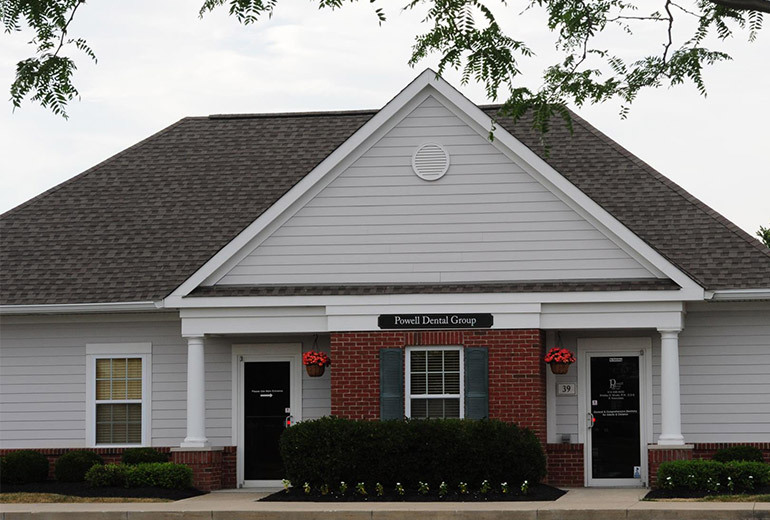 Thanks to our team and wonderful facility, you’ll never want to go anywhere else to take care of your teeth! 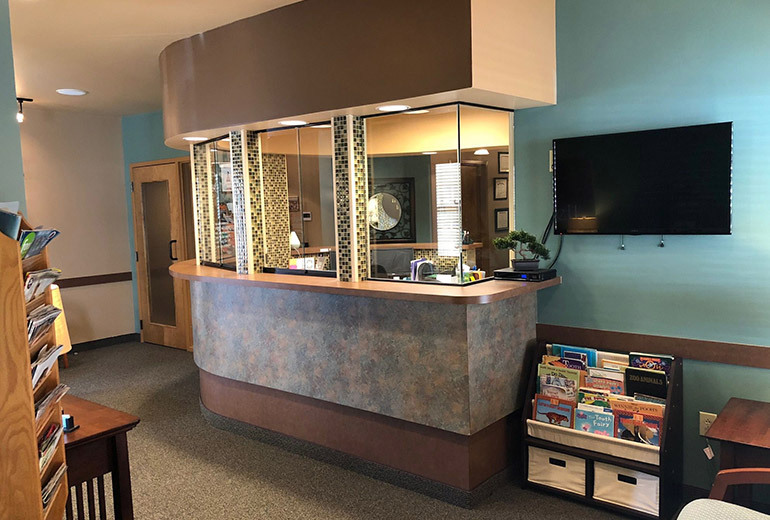 Your comfort is always one of our top priorities, which is why our office has a number of amenities designed specifically to help you relax. 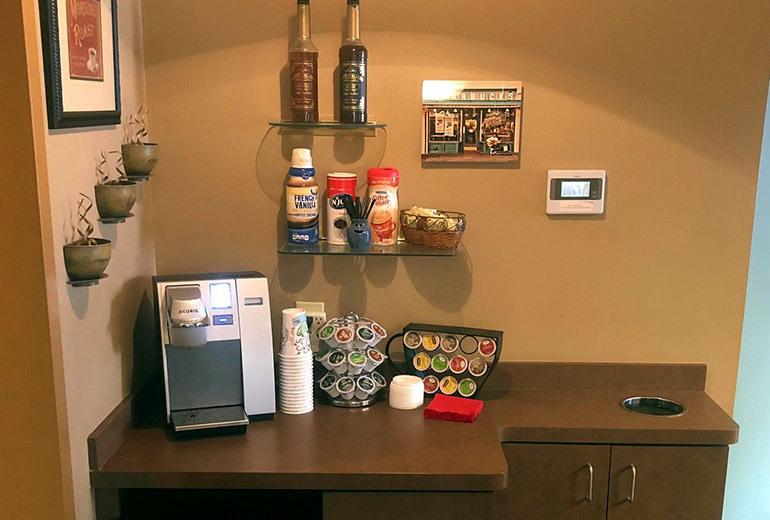 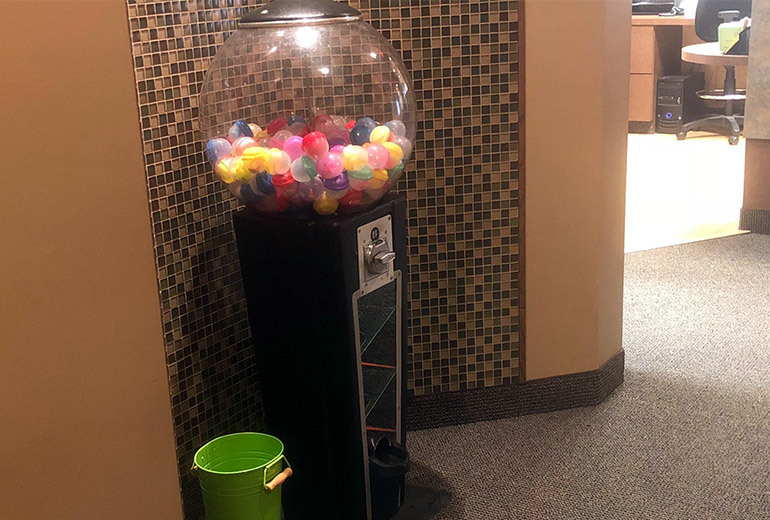 You’ll be greeted by a beverage bar in our waiting room, and you can get lost in your favorite movie during your appointment, watching it on one of the HDTVs we have in every treatment room. 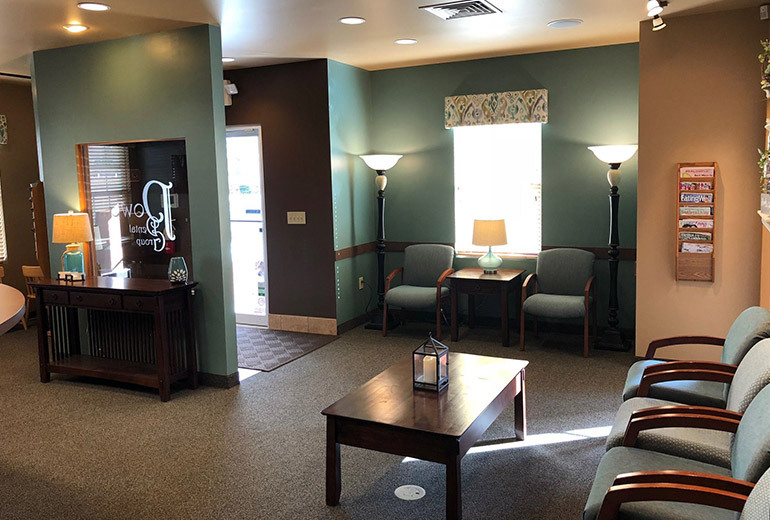 Soft pillows, warm blankets, and comprehensive sedation options are available as well. 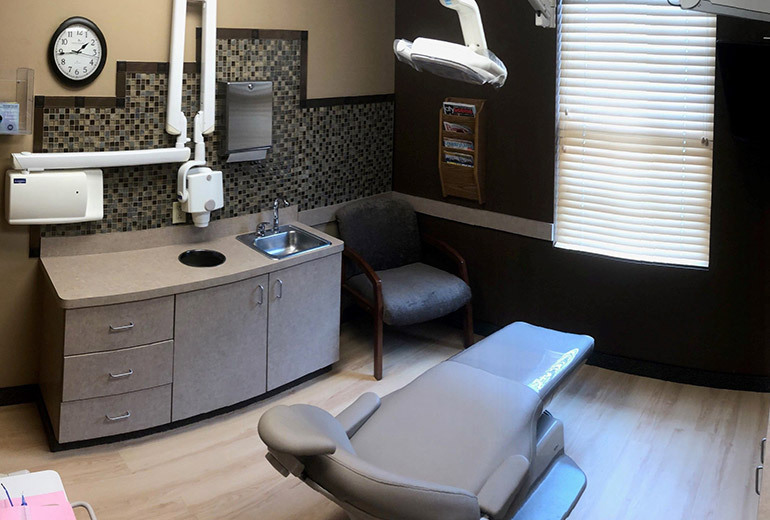 Plus, due to Dr. Shults and Dr. Hutchins’ petite stature, you can look forward to even more comfortable appointments thanks to their small, skilled hands.